WARNING: You have to read this entire blog post to know where to find the best donut in Los Angeles. With third-quarter earnings season nearing its sunset, the year is practically over. OK, OK, let’s not get too far ahead of ourselves. But seriously, what does 2019 hold for capital markets? Um, uh, well, that’s hard to say. A few preliminary ideas from the IR observation deck: Investors will care even more about diversity at the board level, cash preservation or lack thereof will weigh heavily on investors’ minds, and public companies will feel more pressure to perform on a quarterly basis to justify high stock valuations. Indeed, these variables have already surfaced in 2018, particularly in California. A California law passed in September that requires all publicly held companies based in the state to have at least one female board member by the end of 2019. The law goes further by also requiring companies with at least five directors to have two or three female directors by 2021. At the same time, continued volatility in the market and rising interest rates are influencing companies and investors alike to carry more cash on their balance sheet. This trend will likely persist as the Fed partakes in gradual interest-rate increases in 2019. That being said, investors don’t necessarily have the patience to watch a lot of cash sit idle on a balance sheet, so use it wisely. Speaking of patience, high U.S. stock valuations will require companies to prove their pudding is still the best pudding around, and the onus will be on IR professionals to ensure that stellar financial performance is communicated effectively. 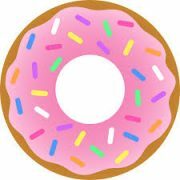 There are a number of other IR-related topics to consider for 2019, such as the continued effects of MiFID II, how artificial intelligence will influence IR, and the best place to eat a donut in Los Angeles when you’re on an NDR. But for now, let’s just get through earnings season.